Can You Win Punitive Damages in Your Virginia Car Accident Case? If you were hit by a drunk driver, you’re probably wondering whether you have a claim for Punitive Damages. It’s common belief (and frankly common sense) that if you were hit by a DUI driver, you should automatically be eligible for Punitive Damages. Unfortunately, in Virginia, it’s surprisingly difficult for a court to award you Punitive Damages. Let me explain. Punitive Damages are awarded, not to compensate you for your injuries, but to punish the driver that hit you. 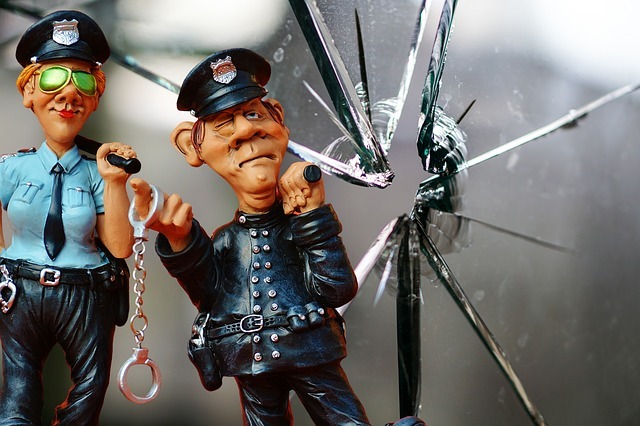 Essentially, when a court awards Punitive Damages, it’s sending a message to the defendant and the community that like behavior will not be tolerated. The Defendant’s intoxication was the proximate cause of the accident. If you are somewhat familiar with Virginia law, you know that there’s an inference that a defendant is DUI when his BAC is (.08) or greater. Therefore, to qualify for Punitive Damages under the Virginia code, to even start, the Defendant’s BAC needed to been almost TWICE the legal limit! However, the Virginia Code does provide authority for Punitive Damages when the Defendant unreasonably refused to submit to testing of his BAC assuming prongs (2) and (3) listed above are still met. Whether the Defendant unreasonably refused is a separate legal analysis. However, where you know you hit by a drunk driver, and they didn’t obtain his BAC, this is an issue your attorney should certainly look into. You may also be eligible for Punitive Damages under Virginia Common Law. Common Law is essentially a collection of past court decisions, which establish “precedent” to guide contemporary courts about how to decide current cases. In other words, your attorney will look at past cases to compare it to your case. Surprisingly, for your case to qualify for Common Law Punitive Damages, there’s an extremely high bar. To be clear, Virginia Courts have stated “[i]toxication, of itself, will not subject a negligent driver to an award of punitive damages.” Baker v. Marcus, 201 Va. 905 (196). Further, the Courts have found Punitive Damages permissible in only the “most egregious conduct.” Simbeck, Inc. 257 Va. 377 (1996). The Court in Booth v. Robertson, 236 Va. 269 (1988) did find enough evidence for the Plaintiff to be eligible for punitive damages. But the facts of that case was truly egregious. There, the drunk defendant was driving on the wrong side of the highway when a truck was passing by blinked his lights and blew a “constant blast” on his air horns, but he just kept driving. Unfortunately, about four-tenths of a mile further, the defendant hit the plaintiff head on. However, in seemingly equally horrific cases, the Virginia Supreme Court has refused Common Law Punitive Damages where a driver was drinking on the day of the collision, operated his vehicle at night without a left headlamp, knew he suffered from night blindness, and drove over into the left lane of oncoming traffic, Hack v. Nester, 241 Va. 499, 404 S.E.2d 42 (1991); and where a driver tailgated the plaintiff's vehicle for some distance, both vehicles were traveling at 40-60 m.p.h. in a 30 m.p.h. zone, plaintiff's vehicle rounded a corner losing control, driving off the road, and the two vehicles never came in contact with each other, Harris v. Harman, 253 Va. 336, 486 S.E.2d 99 (1997). When should you ask an attorney about whether Punitive Damages should apply to your Case? Look, if you have any questions about Punitive Damages, always ask your attorney. While ultimately, you may not be eligible, it’s worth asking. Your attorney’s job is to make sure you’re educated about the process so that you can make the best decisions about your case. There are no “bad” questions.